According to your periodontist, there are many reasons why you may need a tooth extracted. If a tooth becomes severely decayed or infected, it will be extracted to avoid spreading more bacteria around the mouth. If your wisdom teeth are erupting and there’s not enough room in your mouth to accommodate them, you may need multiple wisdom tooth extractions in Colorado Springs. If your teeth are injured and your pulp becomes exposed, your tooth will need extraction. Regardless of the case, you’ll want to avoid dry socket by any means necessary. Luckily, your periodontist is here to offer some tips after your treatment. You’ll be glad you listened as dry socket is a terrible condition to experience. Dry socket is a severely painful condition that can occur soon after a tooth is extracted. After surgery, a blood clot starts to form in the spot the tooth was extracted from. If this clot becomes dislodged or is dissolved, it exposes the underlying bone and nerve in the gums. Since the nerves are responsible for transmitting pain to the brain, it can cause severe discomfort when it occurs. 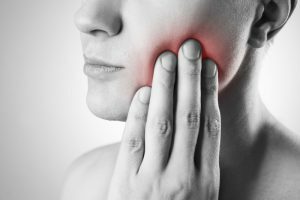 If you experience pain following a tooth extraction, your periodontist will ask about your other symptoms to determine if the blood clot became dislodged. They may need to take an X-ray of your mouth and teeth confirm that your bone is exposed and rule out other conditions associated with pain after surgery. How Do I Prepare for My Extraction? Prior to your appointment, you’ll want to take a few measures to ensure no complications occur after surgery. For example, if you have any symptoms related to your mouth, tell the oral surgeon so they can be more prepared for your surgery. If you have any previous medical conditions, it could influence how your body reacts to the surgery as well. Any medications, vitamins, supplements, herbs, or other daily substances you consume should be mentioned along wit their dosages. If you’re unsure if these conditions and medications are related, ask your periodontist to make sure. They will make the most of your time while you’re there and their highest priority is to conclude the surgery successfully. How Do I Avoid Dry Socket at Home? Avoid smoking or using any tobacco products. Stay hydrated. Drink plenty of clear liquids, such as water, to prevent nausea that’s typically accompanied with pain medications. When brushing, make sure to be very gentle when brushing the socket area. Use salt water to rinse your mouth several times a day. This will keep the area clean and moist. Avoid carbonated beverages as it could cause the blood clot to dissolve. Avoid using straws or other sharp objects in your mouth that can dislodge the clot. Avoiding dry socket after wisdom teeth extractions in Colorado Springs is easy with these tips. Learn more about the process by contacting your periodontist today! Karl Lackler, D.D.S., M.S., earned his Master of Science in Periodontics from the University of Texas Health Sciences Center in San Antonio. He’s so well-verse on the subject, he was rated in the top 3% of the National Periodontal Board Exam. To learn more about his practice and expertise, contact him at (719) 574-4867 or visit his website.